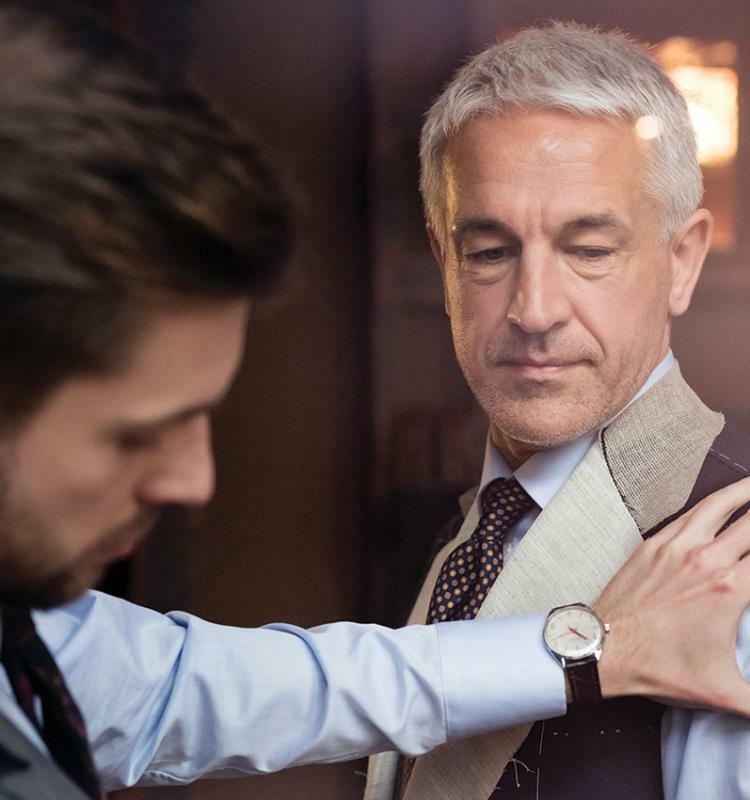 With an unshakeable philosophy of un-wavering commitment to service, The Ritz-Carlton prides itself on inspiring some of lifes most meaningful journeys. Renowned for service, The Ritz-Carlton brings mastery and care to residences. Thanks to its unfailing standards as a champion of fine living, its name has become synonymous with legendary hospitality and absolute refinement. 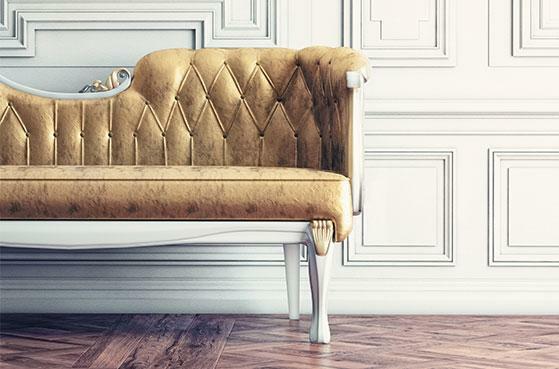 Discover the prestige and timelessness of the brand, right at home in Amman. 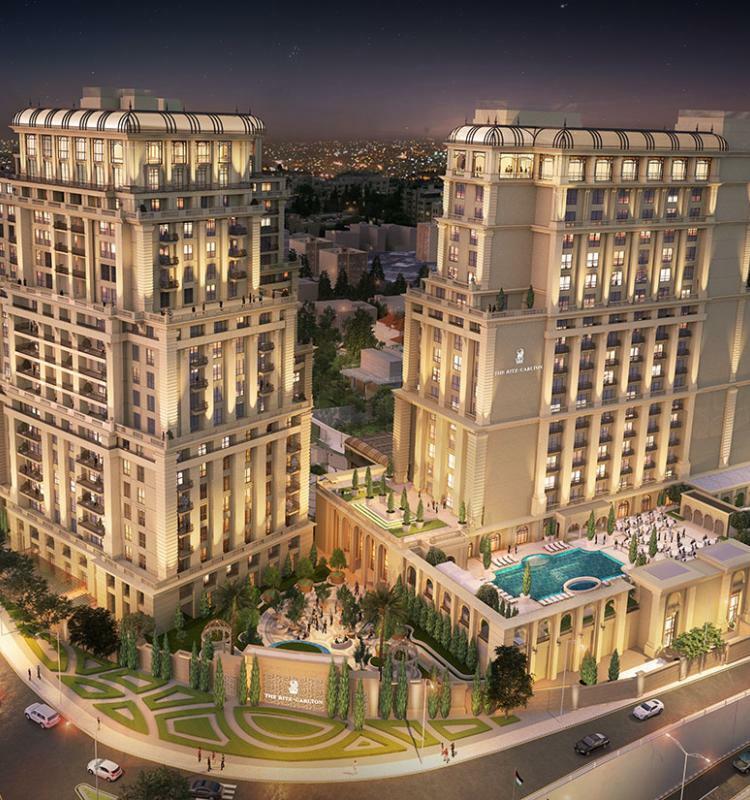 The Ritz-Carlton Residences, Amman begin a new chapter for contemporary life in Jordan and the Middle East. A pride of the city, it promises unprecedented experience for those who call it home, raising the bar for service, comfort, and lifestyle in the region. 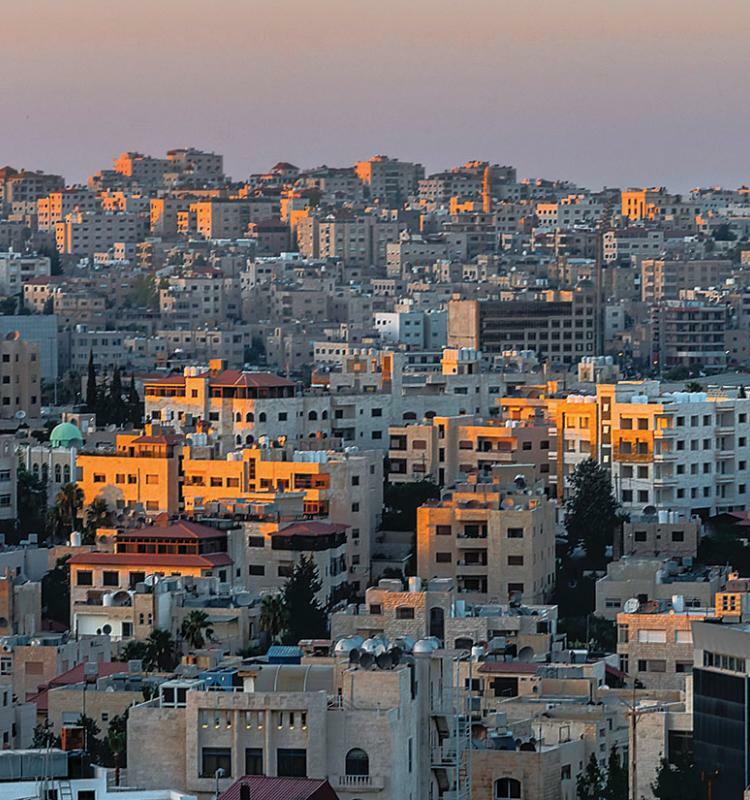 Once a key attraction along ancient Arab trading routes, Jordan’s buzzing capital city, Amman, remains a vibrant hub, facilitating the cross-pollination of cultures and ideas, providing an accessible and hospitable destination for not only the local vicinity, but the world at large. Set within the cosmopolitan city of Amman, The Ritz-Carlton Residences draw design inspiration from Jordan’s rich natural landscape, and modern yet luxurious sensibilities. 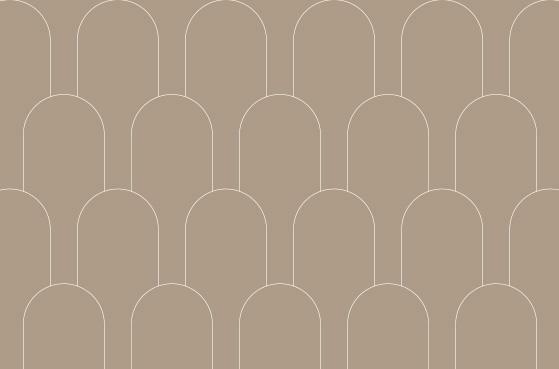 A chromatic palette samples from the warm, rich hues of the Valley of the Moon and blush-colored stone of the rose city in Petra. Its cool tones are reflected in the ultramarine waters of the Dead Sea and the glistening crystallized salt adorning its shores.The tower’s architecture borrows from thousands of years of history, marrying influences from the monuments of ancient Jordanian civilizations with those of neoclassical and art-deco Europe. An exquisite addition to the city’s ever-expanding skyline, two sparkling towers—The Ritz-Carlton hotel and residences in Amman—elevate the experiences of discerning travelers and homeowners. And now, you and your family can make this desirable lifestyle part of your everyday life. Standing side-by-side with the hotel, The Ritz-Carlton Residences, Amman, redefine exquisite living in Jordan. The Residences champion an entirely new lifestyle in the capital, bringing world-famous service and care to a residential community unlike any other in the region. 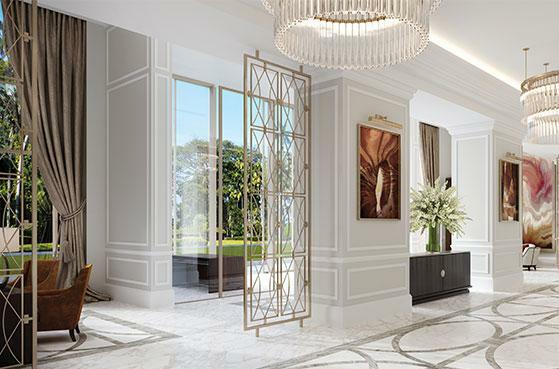 Residents enjoy the world within reach, from the sanctuary of their sumptuous private homes, to the splendor of the towers’ street–level retail offering, The Colonnade. Make luxury your home, at The Ritz-Carlton Residences, Amman.